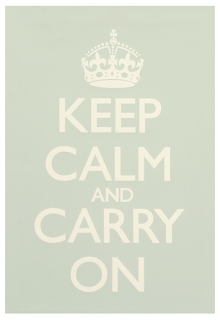 I was walking home from work today and saw a Keep Calm and Carry On poster in the window of a frame shop. It reminded me that I still have to get my poster framed. 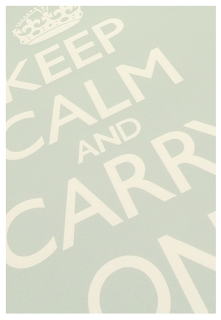 I purchased a print from Etsy in sea green a little while back but I thought I’d share because I adore this poster! It is such a lovely reminder for those days that leave you frustrated!